The GM manufactured DUKW or sometime called DUCK, was a WWII Amphibious Vehicle that featured the capability to inflate or deflate all tires from inside the cab. We are offering one used instrumention panel gauge from this historic vehicle. 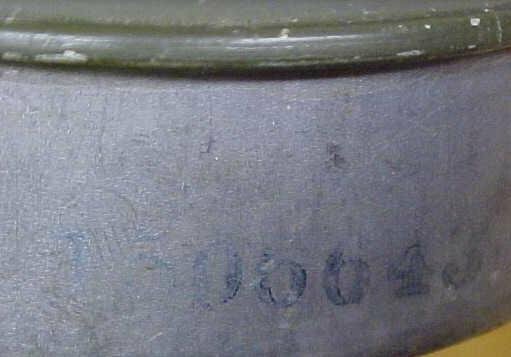 The gauge is not marked by any specific maker, but we do know General Motors made the DUKW for WWII militery, some were sold to other countries, but primarily used by the U.S.A.. 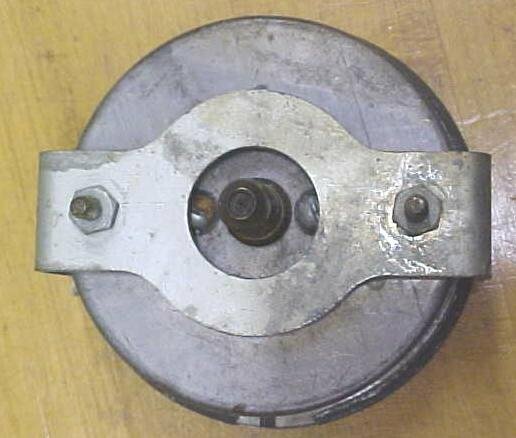 The gauge is 3.75" diameter x 1.31" deep not including a mounting bracket that is included. The gauge graduations are between 0 and 50 (we assume PSI) but not marked as such. 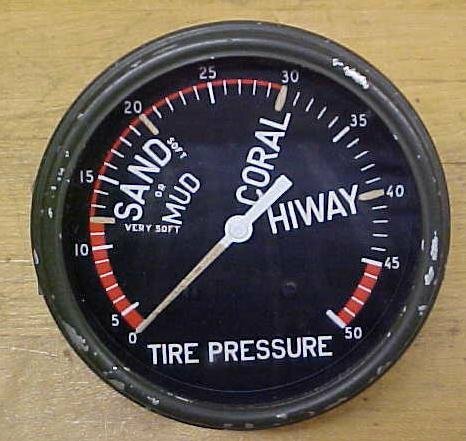 As you can see there is also reference on the gauge face to the reccomended pressure for various conditions including "SAND OR MUD, CORAL, HIWAY". The gauge is also marked "TIRE PRESSURE". There is a good glass lens over the face, and the border around the lens is painted Army green, with about 90% paint intact. The gauge has no damage, in fact may be unused. We did test it again another gauge and it works fine, and regesters correctly. A very hard to find WWII tire pressure gauge! 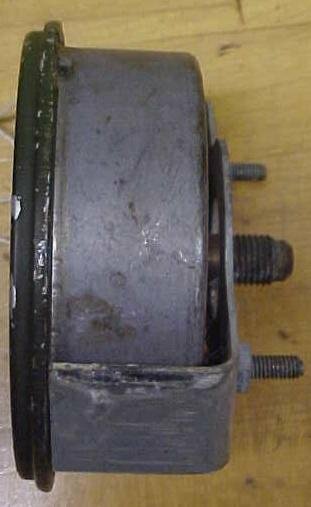 Items Similar To "DUKW Tire Pressure Gauge WWII Amphibious Vehicle"